William S. Mount proposed creating violins with concave or hollow backs. 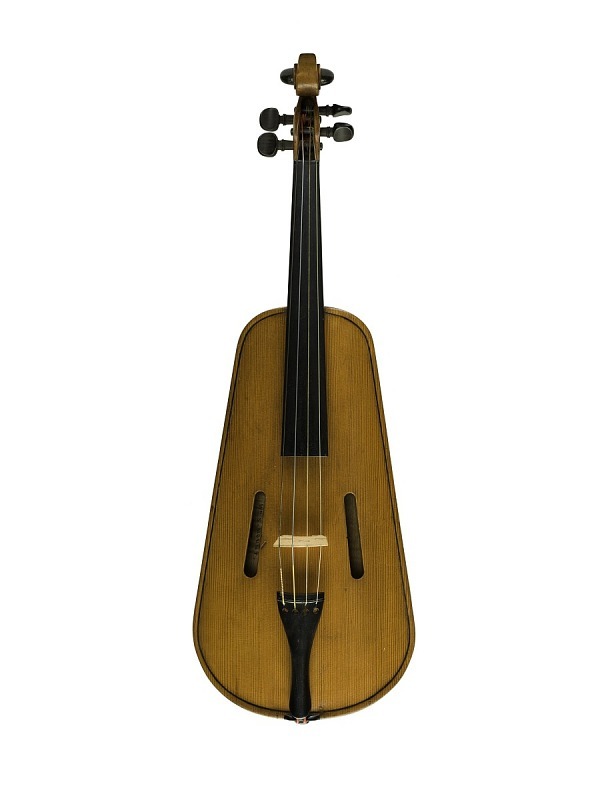 This patent model represented a design innovation that would minimize the strain on the violin soundboard and avoid interference with the “sonorous and vibrating qualities” of the instrument. Thomas Edison submitted this model to patent a variation on his newly invented lightbulb. Although he never put this design into production, this lamp could be disassembled to replace a burned-out filament. These school desk and seat patent models represent a response to needs for more practical learning settings. The designs allow users to lower or elevate both chair and desk, adjust the distance between each desk, and fold back the seat of each chair. Gustav W. Schumacher patented a thermometer in 1876 that used neither mercury nor alcohol to measure temperature, but rather the contraction and expansion of two hard-rubber arms. Apparently no production version of this patent model was ever made. Montague Redgrave’s table game known as an “Improved Parlor Bagatelle” was based on earlier billiards games. This patent model used a spring release to push a ball against the pull of a sloped incline. Both elements were later included in modern pinball arcade games. As illustrated in this patent model, mechanical engineer Frederick Sickels invented an idea for a steering apparatus through which steam pressure would control both the side-to-side motion of a vessel's rudder and hold the rudder stationary against the force of surrounding water. 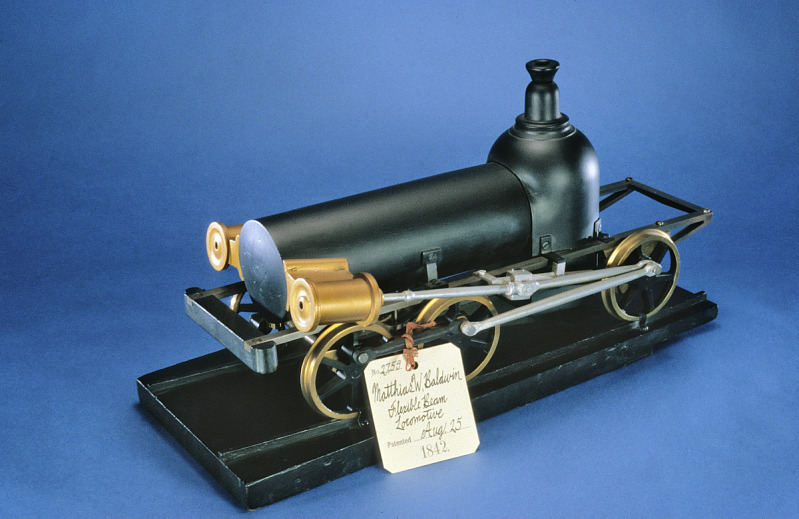 Matthias Baldwin, founder of the Baldwin Locomotive Works in Philadelphia, submitted this model for a patent on a frame for locomotive driving wheels. It enabled locomotives to navigate the tight curves and uneven tracks common on early American railways.